I'm just back from All Saints Day Vigil Mass. It's my favourite Mass of the liturgical year-- I prefer it even to the Easter Vigil. I'm sick at the moment, but despite that I had to drag myself to the Mass-- and there is no vigil in my local parish this year, so it was a neighbouring parish. 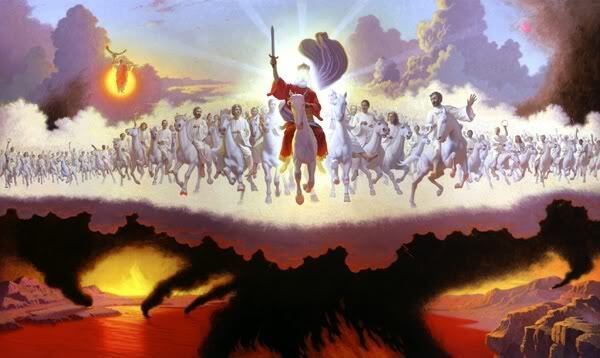 After this I had a vision of a great multitude, which no one could count, from every nation, race, people, and tongue. They stood before the throne and before the Lamb, wearing white robes and holding palm branches in their hands. They cried out in a loud voice: "Salvation comes from our God, who is seated on the throne, and from the Lamb." All the angels stood around the throne and around the elders and the four living creatures. They prostrated themselves before the throne, worshipped God, and exclaimed: "Amen. Blessing and glory, wisdom and thanksgiving, honor, power, and might be to our God forever and ever. Amen." The Book of Apocalypse is a book that moves me, fascinates me, and inspires me more and more. The funny thing is that, although it may well be the book of the New Testament that unbelievers find the craziest, it's somehow the most convincing to me. It drags all the themes of Scripture together in a mighty, resounding crescendo. I am also more and more fascinated by the saints. Perhaps more than anything else, the saints convince me of the truth of Catholicism. Our Lord spoke of 'the narrow gate'. Narrowness might seem uninspiring, but increasingly I find the 'narrowness' of sanctity enormously inspiring. Humans have a spectacular knack for going wrong. When I look back on my life and thoughts, I can say with no false humility that I was wrong about everything. Even when I was right, I was wrong. This human capacity for going wrong strikes me especially when it comes to political, social, literary and cultural debates-- debates which interest me less and less. Critics of Catholicism find its dogmas restricting, but Catholics themselves know how much error and waywardness and confusion we manage to create even within those confines. Outside the Faith, it seems to me, there is utter anarchy. "Conservatism", "liberalism", "freedom", "humanity", "progress", "love", "nature"-- such words are essentially meaningless in the babble of fallen humanity. Two interpreters of some human philosopher or writer, both of whom think themselves utter rigourists, can disagree completely. With the saints, it is different. The deeper you read into their lives, the more you recognise the same journey of holiness, the same supernatural instincts at work. It is uncanny. If you really want to know what we mean when we say that Christianity has a special power of virtue, I will tell you. The Church is the only thing on earth that can perpetuate a type of virtue and make it something more than a fashion. The thing is so plain and historical that I hardly think you will ever deny it. You cannot deny that it is perfectly possible that tomorrow morning, in Ireland or in Italy, there might appear a man not only as good but good in exactly the same way as St. Francis of Assisi. Very well, now take the other types of human virtue; many of them splendid. 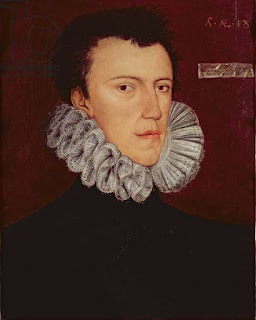 The English gentleman of Elizabeth was chivalrous and idealistic. But can you stand still here in this meadow and be an English gentleman of Elizabeth? The austere republican of the eighteenth century, with his stern patriotism and his simple life, was a fine fellow. But have you ever seen him? Have you ever seen an austere republican? Only a hundred years have passed and that volcano of revolutionary truth and valour is as cold as the mountains of the moon. And so it is and so it will be with the ethics which are buzzing down Fleet Street at this instant as I speak. What phrase would inspire the London clerk or workman just now? Perhaps that he is a son of the British Empire on which the sun never sets; perhaps that he is a prop of his Trades Union, or a class-conscious proletarian something or other; perhaps merely that he is a gentleman when he obviously is not. Those names and notions are all honourable; but how long will they last? Empires break; industrial conditions change; the suburbs will not last for ever. What will remain? I will tell you. The Catholic Saint will remain. So here are my All Saints Day prayers. First of all, I pray for my beloved Michelle, and the five immortal souls who never saw the light of day, whio I mentioned in a recent post. Next, I pray that we will succeed in bringing life into this world. Reader, if you are ever praying for me, this is the prayer I would always ask. Because it is something so personal and private, I haven't really mentioned it, and it's not something I like to discuss. But nothing weighs on me more. Next, I give a prayer of thanksgiving that my father is still in this world, at the grand old age of seventy-seven. I never dared hope he would be spared so long, and I am very thankful. May he see many more birthdays! I pray for my father-in-law Nick, who passed away this year. I give a very heartfelt prayer of thanksgiving for all my blog readers, and for all their prayers. I can't tell you how much they've meant to me. I pray we all meet in Heaven, amongst the saints. I pray that all our families, where they are not in communion with Holy Mother Church, will come into communion with her. Lord, give us the grace to light their way. I pray for the Church itself, that the Holy Spirit guards it from heresy, cowardice and accommodation with the world. I pray for all priests, and for vocations to the priesthood and religious life. My name-saint St. Sechnaill, about whom I wish I knew a lot more. My confirmation saint Finbarr, lover of learning. 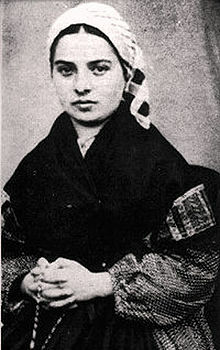 St. Bernadette Soubirous, whose simplicity and humility inspires me more and more, and whose photograph seems to me like an image of the beauty of holiness. Give me a deeper love of our Blessed Mother, St. Bernadette! Blessed John Henry Newman, whose deep seriousness and manliness seems such a wonderful tonic for our trivial times. 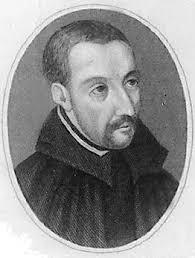 St. Robert Southwell, whose love of Mary's Dowry (England) I find inspiring as a lifelong anglophile, and whose poem 'The Burning Babe' expresses the fieriness of our Faith better, perhaps, than any text outside Scripture. St. Josemaria Escriva, who enjoined us to make heroic verse out of the prose of our lives, and also showed us how to do so with his own life. St. Patrick, whose utter dedication to the gospel and whose flame-like simplicity can be seen in his Confession, which I encourage everybody to read. St. Maximillian Kolbe, whose apostolic daring seems to show that we can never ask enough of God. 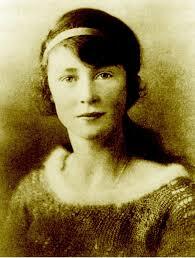 Venerable Edel Quinn, who brought the faith of St. Patrick all over Africa, despite being almost at death's door. St. John Paul II, St. Pius X, and Blessed Pius IX; lions of orthodoxy, to whom untold millions must be indebted for so much as hearing the pure Gospel. The greatest of all the saints, Our Blessed Lady. I've written on this blog about my 'mommy issues' when it comes to Mary. 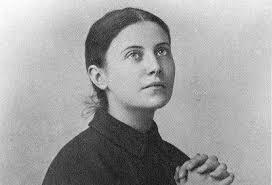 (St. Gemma used to address her simply as 'Mom'.) Well, I am very grateful that I have begun to develop a more Catholic relationship with our Mom. This, too, I can lay at the feet of the saints. The saints lead us to Mary, and Mary leads us to her Son. And all the heavenly host, all our friends in Heaven, intercede for us, Amen! God bless us all on this All Saints Day! Almost the last thing I did as an agnostic was write a collection of one hundred very short horror stories called A Hundred Nightmares. Reflecting my increasing disillusionment with my secular outlook, they include some of the bleakest and darkest things I've ever written. indeed, a friend who recently read some of them told me they were too dark for his liking. I say this so nobody is shocked! The very day I finished the epilogue (for there is a framing story to them all), I fell into a very deep depression which was God's last wake-up call, and I spent many months concentrating on looking for God rather than writing. Well, here are three of them, which I don't think I've posted before. Enjoy! Happy Halloween! "Are you OK?”, asked the lady with the golden curls, reaching out and laying her hand on the younger woman’s shoulder. The younger woman looked up. Her eyes were red from weeping, and her make-up was smudged from tears. Her face looked ill-suited to weeping; she had a strong, determined chin and hawkish features. Her black hair was cut short. The woman with the golden curls said nothing. She knew there was nothing to be said. “She’s my twin”, said the younger woman, and sniffed. “Yes”, said Monica. “It is”. For a few moments, there was silence in the foyer, empty but for them. Even the traffic outside had slowed almost to nothing. It was the depths of the small hours. “No”, said Monica, in a feeble voice. “She’s still hanging on. But….but I don’t think….” Her voice sank to silence, and the two women sat listening to a drunk singing streets away. Charlotte went to the machine, fumbled for coins, and drew two cups of coffee in paper cups. She was obviously familiar with it, not pausing to look at the instructions that flashed on the display, doubling up the paper cups for insulation. She carried the coffee back to the bench. By now, Monica was attempting a brave smile. “Do you know what frightens me the most?”, asked Monica, almost interrupting the older woman. “What’s that?”, asked Charlotte, gently. Charlotte made no reply. She merely sipped her coffee—if it could be called coffee—and smiled sympathetically. The drunk was singing again, and she thought how strange it was that a person’s life might end to such a graceless accompaniment. "Monica?”, said the voice at the end of the line. “Monica, it’s Charlotte”. The voice chattered on, benign, irrelevant. What could Monica say that Charlotte would understand? That anyone could understand? How could she tell them about the great weight that she felt closing down on her at all hours, the overpowering scent of dank soil that never left her nostrils? How could she explain the darkness? How could they know what it was like to feel tiny, unseen creatures burrowing into your flesh? Hetterton was village Marshall had dreamt about all his life. It was the sort of place he’d planned to move to in his retirement. 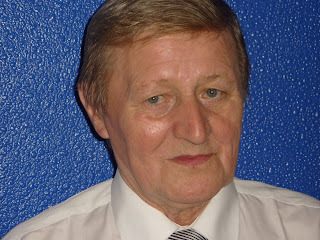 But when a manager’s job came up in the Old Colours Hotel, he was happy to get there twenty years ahead of schedule. The job wasn’t onerous. Marshall was glad. He’d worked hard all his life, but never thought of hard work as a virtue. Anyone who did was a fool. There weren’t many fools in Hetterton. Marshall’s favourite pub, the Man and Maid, was never deserted. Within a week, he knew everybody who drank there. She sat by the fire, always. She was a pretty enough woman, though not the stuff of dreams. Her clothes were unfashionable but not tasteful—pleated cardigans featured heavily—and she always seemed to be reading some mystery novel or other. She might have been in her late thirties. There were so many other people to get to know, at first, that Marshall hardly thought about her. It was only when he’d reached first name terms with the rest of the regulars—and most of the town—that he asked about her. “Who’s she?”, she asked, while sharing a table with Jerry, the village postmaster. Jerry, a red-haired, red-faced man, always had a smile on his face, but when he followed the direction of Marshall’s eyes, it faded. Jerry shrugged his broad shoulders. “If you say so”. “Let’s go talk to her”, said Marshall. “I’m just going to finish this one and go”, said Jerry. “Got to get a few things”…he looked down into his beer a little bashfully. He walked to where the woman was sitting, put his pint down on her table, and sat opposite her. She looked up, her eyebrows raised, surprise in her hazel eyes. “What you reading?”, asked Marshall. They talked. Marshall found himself wondering why the lady was so friendless. Her name was Julia. She was warm, funny, witty, well-informed. They spoke for three hours, then he walked her back to her cottage. She lived alone. She leaned forward, kissed his cheek, and said: “Please don’t talk to me again.” There were tears in her eyes. He called her back, but she kept walking. It was late. Marshall went straight back to the Old Colours Hotel, and took to bed after a quick look around. The next morning, he had a dental appointment in the city. He found himself thinking about Julia as he got dressed. He wasn’t going to respect her self-imposed quarantine, that was for sure. Whatever she said, the longing for companionship was plain in her hazel eyes. He thought of her as he read a wildlife magazine in the dentist’s waiting room, as he had his teeth examined, and as he stood in the Halley’s Comet afterwards, nursing his usual post-dental gin. He only stopped thinking of her when he spotted Jackson, his college friend, doing the crossword on a stool by the window. He crossed towards him. Jackson looked up. The pleasure Marshall had expected to see light up his pale blue eyes was not there. In fact, there was no welcome in them at all. “Actually, Marshall”, he said, standing up and rolling up the newspaper, “I have to rush right now”. Norman knew that he shouldn’t walk through Leary Mansions after dark. The estate had a bad reputation even when there had been people living in it. Now that it was empty, waiting for the bulldozers, who knew what dangers lurked there? But that was part of what drew him. There wasn’t much danger in Norman’s life. 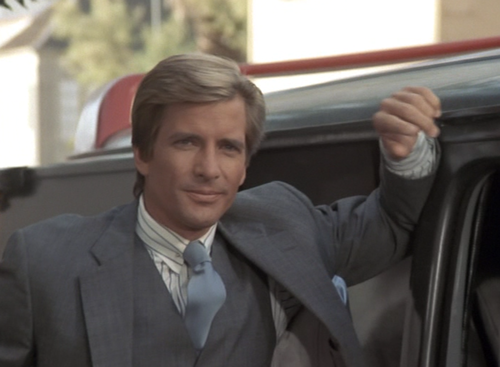 He worked in the offices of a taxi company. Like an air traffic controller, he told people, but with taxis instead of airplanes. He spent all day looking at a computer and talking into a radio. He had drifted into it, after he had dropped out of college and left a succession of other jobs. Not that he really wanted danger. What was exciting about thugs taking turns to kick at your head? No, he liked the shiver. He liked the melancholy, the sight of all these empty flats and curtainless windows. He had never been to a ghost town, but he had always meant to go. He gloried in the silence, the emptiness, the near-darkness. Leary Mansions were an oasis of poetry in a desert of suburban mundanity. He walked home for the sake of his health. That’s what he told everybody. But he knew better, and he suspected that Sally knew better. He wasn’t in any hurry to get home to her. Her temper grew shorter by the month, it seemed. Hard to believe he used to mock her for being too patient and easygoing. Anyone else would have left her. But he wasn’t the leaving type. She was a teacher, and made more money than he did. He’d made more friends through her than he’d ever had before. She seemed to know everybody. And she was pretty. People were surprised to see them together, Norman knew. He was lucky to have her. His shoe struck a beer bottle, and sent it careening towards a wall. It smashed, and the echoes rang throughout out the apartment complex. Delicious. But he couldn’t linger. They were going out to a birthday party tonight, and Sally would be furious if he was late. He took one last appreciative look around Leary Mansions, and gave a start. One window was lit up. It was almost directly above his head, on the top floor. Five floors up. A soft yellow light. He could see figures against it. They were at least half a dozen of them. Closest to the window, he saw the slim, shapely form of a woman, holding a glass. Perhaps it was the shape of that silhouette, or perhaps it was curiosity. The entrance to the apartment block had been boarded up, but it had been prised loose by many previous hands. He entered, climbed up the graffiti-strewn and filthy stairwell, and knocked at the door. He knew which it was. 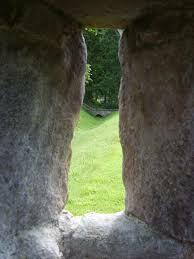 Light shone through its spy-hole. A woman opened it. He knew it was the woman at the window. She was beautiful, with blonde curls and large misty eyes. Just the sort of beauty he had always admired most. She was still holding her glass. Before he could speak, she leaned forward and kissed him on the mouth, took his hand, and led him in. Everybody was pleased to see him, and nobody seemed surprised. The rooms rang with laughter. He had never met people so charming, so intelligent, so graceful. Then he looked out the window, and the woman who had led him in—her name was Alice—laughed when she saw the shock on his face. “What happened?”, he asked. The city outside was entirely dark; not even the streetlights shone. There was no sign of life. The entire city was now as desolate as Leary Mansions. “You came up here, that’s what happened”, said Alice, pulling him towards her again. Hours passed in a dream of paradise. Nobody spoke about the desolation outside. Within a half-an-hour Norman felt he belonged there, but a warning was sounding in his heart. He slipped towards the door without telling Alice. She saw him go, and they had a tussle at the front door as he tried to escape her embrace. She was crying, and calling his name. His shirt tore as he pulled away from her. She called after him, but by the time he had descended the last flight of stairs, she had given up. He climbed back through the loosened boarding, and stepped out into the night. It was utterly dark. Only the light of the moon illuminated Leary Mansions. He walked forward, carefully, frighened of falling over. He walked until he had come to the railings that fenced in the estate. There was no light beyond them. There was no sound of traffic. The city was dead. Panicking, he turned back in the direction he had come, and looked up. But the light in the window was gone, too. Inside the Church, heresy seeks to portray itself as orthodoxy. Outside the Church, orthodoxy-- secular orthodoxy-- seeks to portray itself as heresy (dissidence, rebellion, radicalism, etc.). Very often they are exactly the same views in both cases. It was also the estimated birthday of Sadbh Treasa, our second child lost to miscarriage, who we think would have been a girl based on her time of conception. We have lost five children to miscarriage, one this year. Five immortal souls, who would have looked like me if they had survived, who would have inherited all my family anecdotes and family traditions, as well as those of their mother. To whom I would have taught prayers and poems. Who would have developed their own unique personalities, as well. Yesterday was also the feast of St. John Paul the Great, whose greatness only seems more impressive with every passing year. I was taken to see him when he visited Ireland in 1979. Apparently I was very excited, but I don't remember it. Many commentators have called this the zenith of Catholic triumphalism in Ireland, or perhaps an Indian summer. But if you actually read the Pope's addresses during the visit, you realise that the vast crowds that came to see him-- over a million in Dublin alone-- did not deceive him as to the forces at work against the Faith in Ireland, or the dark times that were ahead. So please pray for Ireland, and me and my family in Heaven and earth. This is a poem I wrote a few years ago, and I posted on the blog. Then I took it down because I thought it was worth sending to a magazine, which I did (and magazines usually ask that poems have not been previously published). I sent it to Spirituality magazine. I never heard back from the magazine, so I assumed it was never published. Yesterday, I discovered by accident that it was. So here it is again. I think it's not bad, apart from some very dodgy metre in a couple of places. And the guests began to sigh. And spoke a little lower. A sword shall pierce your side. “The drink they thirst for is yours and mine. If I am to serve God with my pen (or keyboard) at all, perhaps it is through verse rather than prose-- hymns, poems, and so forth. Poetry and verse of all sorts is a highly speculative venture. The world is not very welcoming to poetry, and even those of us who love poetry usually have to make more of an effort to read it than to read prose-- even with the best poetry. But, if you do write a verse that moves people, it tends to mean more to them than any amount of prose does, and to survive in their hearts for much longer. From my early teens I have felt that writing a verse which the world (or some part of the world) took to its heart-- the words of a popular hymn, for instance-- would be one of the greatest achievements imaginable. T.S. Eliot's famous line, "distracted from distraction by distraction" is one that describes me all too well. I think it describes many of us today, perhaps even most of us. I think we have a cultural case of Attention Deficit Disorder, and I struggle with it as much as anybody. I struggle to keep my my mind focused at Mass, on my Rosary, and...well, all the time, pretty much. In recent times I have been trying to tether myself more, and (to use the traditional Christian term) to be more 'recollected'-- especially through what St. Josemaria Escriva called 'the blessed monotony of the Rosary'. Have You Ever Heard of St. Philip Howard? I had never heard of him, until I read about him today, his feast day. He was an Elizabethan aristocrat who gave up one of the highest positions in the land for the sake of his Catholic faith, and who died after a decade in the Tower of London. He was declared a saint in 1970. Here is a video about him. As I said in my previous post, I have come to a stage in my life that seems like a time for silence rather than a time for speech, a time for listening rather than a time for proclaiming. And I have been doing a lot of that. But it would feel dishonest not to share some of the changes in my own outlook that I have developed recently. A verse of Scripture that seems more and more important to me is Colossians 3:2: "Set your minds on things above, not on earthly things." I have not always been very good at doing this. I am now dubious about much that I have written on this blog. Take, for instance, my many blog posts on the subject of tradition-- human, secular traditions. All my life I have been tradition-mad, and this had a powerful influence on the trajectory of my beliefs; first of all towards conservatism, and then towards Catholicism. This was good. But I am coming to think I should have thrown away the ladder once I had reached my destination. Where did this love of tradition come from? Well, it could have come from many things, but I tend to believe it was the Holy Spirit calling me towards the Truth, or using my own inclinations to guide me to the Truth. 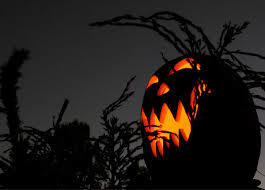 I have written in my series of posts on tradition that much of my love of tradition is based upon the sense of the timeless, or the time-outside-time, that we so often feel when we look at a Halloween bonfire or a Thanksgiving parade, or some other image of a secular tradition. Well, it seems to me pretty clear that this love of the 'time-outside--time' which I find in tradition is really a yearning for Eternity. That was the message. Once I'd got it, I shouldn't have continued to fixate on human traditions. Now, I don't want to be too humourless or blinkered about this. There is nothing wrong with taking an ordinary, moderate, incidental pleasure in human traditions (or in other aspects of the world that appeal to us). But the extent to which I fixated on them was, I believe, unhealthy and wrong and a distraction from the thing that matters. It was an excessive attachment to worldly things. Then again, there is my many blog posts about globalization and cultural nationalism. I declared war on globalization and the cultural homogenization I perceived in the world. But, seen from the view of Eternity-- which is really the only view worth taking-- what difference does this make? Again, I'm not suggesting we should all become utterly otherworldly, or cease to take pleasure in our national heritages, or cease to preserve them-- or to preserve other secular institutions that we cherish. But the salient point is how much of an effort, how much focus this demands. If it takes up an extraordinary amount of our time and effort, I think it has become an idol-- and, indeed, I think cultural nationalism (and even more political nationalism) has very often become an idol. I admit that it has been an idol to me. What St. Paul wrote to the Corinthians seems pertinent: "This therefore I say, brethren; the time is short; it remaineth, that they also who have wives, be as if they had none; And they that weep, as though they wept not; and they that rejoice, as if they rejoiced not; and they that buy, as though they possessed not; And they that use this world, as if they used it not: for the fashion of this world passeth away." The fashion of this world passeth away. Cultural globalization is just another moment in that process. We have enough on our plates, defending life and the family (which we know God wants us to defend), without putting too much effort into defending cultural forms that we have no particular warrant to believe God wants us to defend. These dread words from the Book of Jeremiah frighten me: "Thus saith the Lord of hosts: Hearken not to the words of the prophets that prophesy to you, and deceive you: they speak a vision of their own heart, and not out of the mouth of the Lord." 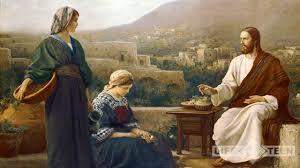 In fact, I am becoming more and more cautious about worldly causes becoming idols that distract us from the Gospel. I recently left Facebook, but before I left it, I became more and more bothered by the phenomenon of many of my Catholic Facebook friends-- orthodox, non-dissident Catholics-- becoming sucked into the slipstream of some political ideology. These were ideologies of both right and left, but it was more noticeable in the case of the political left. I had Catholic Facebook friends who seemed to spend an extraordinary amount of energy attacking Donald Trump, the Republican party, gun ownership, racism, sexism, and 'Islamaphobic' media coverage, but who never seemed to use Facebook to evangelize or defend the Faith-- outside of the occasional picture of Mother Theresa with a non-controversial caption attached. They were more than willing to criticize conservatives or right-wing Christians, but they rarely (if ever) seemed to speak out against abortion, or euthanasia, or the persecution of Christians around the globe. These causes were not important enough for them to stick their heads above the parapet. I'm not attacking any of these people. I have no doubt they are better people than me, and better Catholics than me. 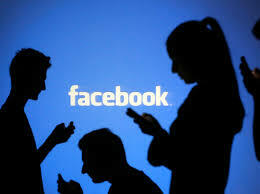 But the distortion of priorities that I saw in their Facebook feeds was like a mirror wherein I saw my own failings. There is an awful lot on this blog which is extraneous to the Gospel. But, for a Catholic, I don't think anything should be extraneous to the Gospel. "Now I live, not I, but Christ lives in me." (Galatians 2:20). That should be our aspiration. But it's not just the proclamation and excessive attachment to worldly causes that I've come to see as wrong. It's just as important (I think) that we proclaim the Faith in the right way, and for the right motivations, and in the right terms. "Through him, and with him, and in him" is what the priest says in the moments before Communion. I've been pondering those words a lot recently. Take the example of the term 'pro-life', especially as it is used by Catholics who belong to the 'seamless garment' school of thought. "Pro-life" was a word coined to argue against abortion-- and, perhaps, euthanasia. These are practices that all Catholics must oppose and abhor. But Catholics and Christians of the 'seamless garment' school use the term 'pro-life' to argue in favour of all sorts of measures which are not required by faith, which are in fact prudential matters upon which Catholics may legitimately disagree-- the complete abolition of the death penalty, pacifism, socialised healthcare, open borders, and so on. Not only did I witness this expansion of the term 'pro-life' on my Facebook feed, but it has unfortunately been taken up in this sense by many Catholics I greatly admire-- such as the blogger and writer Mark Shea. I have deep, deep respect for Mark Shea. His writings were very influential on me when I was moving to the Faith, and his book Mary: Mother of the Son is one of my favourite books, and is indeed the book that unlocked Mary's role in salvation to me. But he seems to have become hypnotised by left-wing causes, like many of my Catholic Facebook friends. In such cases, passions are raised so high that Catholics almost seem to be locked into a left wing/right wing faction fight where the real enemy is some pet hate figure on the right or left, rather than Satan and his fallen angels-- where the cosmic battle becomes less important than a transient squabble that only historians will care about in a hundred years. In a blog post in which he was responding to some very intemperate language from Mark Shea, who was accusing him of not being 'pro-life' enough in refusing to support the complete abolition of the death penalty, Edward Feser responded: "Shouting the phrase “pro-life” – a slogan that has its origins in U.S. political discourse, not in Catholic moral theology – no more settles anything than shouting the slogan “pro-choice” does." That sentence struck me very powerfully. If even a term like 'pro-life', which rolls off our tongue so easily and which seems so unobjectionable, can contain such potential confusion within it, we have to be very careful of the language and lines of argument and apologetic strategies we use. Indeed, Dr. Feser has argued persuasively that a solid Catholic apologetics has to be built on Thomism and scholastic philosophy, and the 'New Theology' which more or less replaced it in the twentieth century--- and many of whose proponents, as Dr. Feser points out, were in no way 'liberal' or 'progressive' in their own minds-- is not, at least by itself, up to the intellectual task of defending the Faith against its opponents. "Through him, and with him, and in him." It's not enough to assert and defend the Faith. We have to defend it using solid Catholic arguments, and solid Catholic apologetics, and solid Catholic interpretations of Scripture. This is too important a business to indulge our own eccentricities, idiosyncracies, or irresponsible creativity. I aim this criticism against myself principally. Too often, on this blog, I have drawn on my own imaginative impulses, or my own memories, or upon parts of popular culture or literature that particularly appealed to me, to make (what I thought was) an argument for the Faith. Now, I'm not going so far as to say that this is completely illegitimate, but I have come to view it with tremendous caution. I don't think I'm the only Catholic who has been too eager to 'canonize' his favourite philosopher, movie, song, historical figure, novel, non-Catholic theologian, or non-Christian historical figure (such as Gandhi, who seems to have been made a kind of honorary saint by many Christians). We have Scripture, the Church Fathers, approved classics of devotion, a treasury of traditional prayers, the lives and writings of the saints, Church-approved apparitions, and a whole wealth of other 'safe' material to drawn on-- more of it than anyone could ever get through in one lifetime. There is no austerity involved in sticking to the authentically Catholic. We have an abundance. 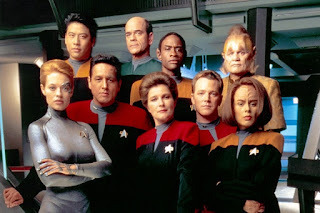 We don't have to write blog posts making a Catholic case for Star Trek and Groundhog Day, and so forth. I did this far too much, perhaps exulting in my own sense of creativity and ingenuity. Mea culpa, mea culpa, mea maxima culpa. But I'm not the only one. We are always trying to conform Christ to our own image, rather than conform ourselves to Christ's image. This tendency has to be fought against constantly. Finally, I have to admit a change of heart regarding a prominent and controversial Catholic apologist. 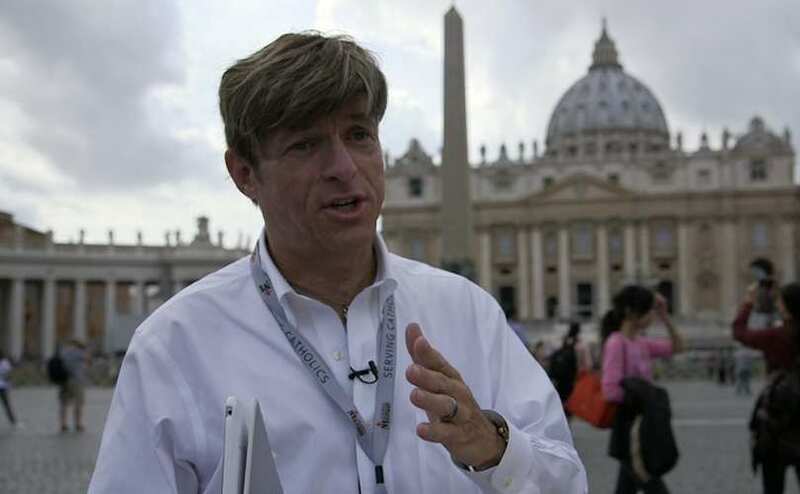 I have been publicly and strongly critical of Michael Voris, the founder of Real Catholic TV, now Church Militant TV. Not only have I criticized him on this blog, but I once criticized him in a lecture (of the two lectures I've ever given!) to the John Paul II Theological Society in Maynooth. Well, I have changed my mind. Although his style is still rather more abrasive than is congenial to me, I have come to think that Michael Voris is doing very good and very important work, and that he's right about nearly everything-- but most of all, in his stubborn and terrier-like focus on the supernatural element of the Catholic faith, and the doctrine that 'outside the Church, there is no salvation'-- a doctrine that, though it may have once been understood too narrowly, has today been watered down to homeopathic proportions. His critique of the 'Church of Nice'-- though I think it is exaggerated-- is true more often than not. His emphasis on the rational rather than the emotional aspect of Catholicism is also necessary and right. I feel it is only honourable to publish this retraction. The Church is a sign of contradiction. Trying to soft-soap the Gospel is (I think) a mistake. Now, I'm not denying that there are points of encounter we can find in contemporary culture, or arguing that we always have to be confrontational in our apologetics. But I have significantly less faith in the 'softly' softly' approach than I had until very recently. Judge it by its fruits. How has it fared? Indeed, it seems to me-- from the many, many conversion stories I have read-- that people are more likely to be drawn to the Church on account of its willingness to confront modern society, than through its attempts at 'dialogue' with it. I've been watching lots of Voris's videos recently (all the free ones, as I can't afford a subscription). But I think it was this one that did it for me. He's completely and utterly right. I used to disapprove of Voris's videos being carried on the Catholic Voice website, when I wrote for that newspaper. The irony is that my outlook is more 'Catholic Voice' now than it was when I wrote for The Catholic Voice. This is a longer post than I intended to write. But I felt honour-bound to write it. Let us pray for each other! Postscript, written the next day: I have been mulling over this post today, and I wanted to add a qualification or two. First of all, I wouldn't myself adopt Voris's 'Church of Nice' label to describe the mainstream Catholic Church. Far from it. In fact, most of the priests I have known are good priests. At the moment, I regularly attend Mass celebrated by four different priests, and three of them are excellent-- reverential in their celebration of Mass, supernatural and Christ-centred in their homilies, deeply serious, always willing and available for confession. (The fourth priest, unfortunately, tends towards liturgical abuses such as leaving the altar at the sign of peace, leading the congregation in applause during Mass, and interposing his own words in the liturgy.) I also find Irish congregations to be generally reverent and serious-minded. I don't see people answering their mobile phones or drinking cans of Diet Coke in Mass. I see a great deal of fervour and reverence. When we look towards the Irish episcopate, however, the matter is very different. Our bishops seem to be terrified of actually preaching the Gospel in season and out of season (a phrase from today's readings, as it happens). The nadir of this was the homosexual marriage referendum in Ireland, where our bishops seemed to spend more time and energy warning against homophobia, and chiding people who were actually opposing the introduction of gay marriage, than upholding the Christian view of marriage and sexuality. They seem entirely unwilling to 'take on' the anti-Christian forces in the Irish media and political system. Archbishop Diarmuid Martin of Dublin is a particularly lamentable example. I do not accept or agree that the institutional church is a 'dead man walking' and that there is only a tiny 'remnant' of faithful priests and laity remaining. I do agree that apostasy and worldliness has penetrated deep into the Church in Ireland and elsewhere, but I think it's in an uneven and selective manner. It's not as simple as good parishes vs. bad parishes, or good priests vs. bad priests, or anything so clear-cut. Yes, there are good priests and bad priests-- I'm not judging souls here, but their deeds-- but there are also lots of priests who are a very mixed bag.